Escape to a world of solitude and serenity at the largest and most luxurious destination spa. Escape to a world of solitude and serenity at one of the most luxurious spas in Westchester County. Centrally located just 30 minutes from downtown Manhattan and Greenwich, CT, The Ritz-Carlton New York, Westchester is one of the most elegant luxury hotels in White Plains, NY. At 10,000 square feet, our peaceful spa retreat features an array of treatments and spa packages to heal, relax and revive, including seasonal offerings and signature therapies. Every treatment at the Ritz-Carlton Spa is designed to help you heal, relax and revive your mind, body and spirit. Indulge in experiences like Winter Solstice, Spring Equinox, Summer Solstice and Fall Equinox or choose from a tempting array of massage services, body treatments, and facials. The Spa also offers special treatments for men, and the Nunzio Saviano Salon specializes in hair care, vibrant colors, cuts and styling. You can also enjoy vibrant and nourishing manicures and pedicures, or upgrade your spa and beauty treatments with special enhancements. At the Ritz-Carlton Spa professional therapists will help you discover a world of peace and calm–and you will leave ready to enjoy a new day filled with fun and adventure. Whether you are looking to escape to the natural beauty of the pastoral countryside or indulge in the energy of a vibrant city, the Ritz-Carlton Westchester offers the features and amenities that transform a hotel stay into an extraordinary experience. The affluent area has an eclectic collection of, shops, restaurants, and cultural attractions, and New York City is a short 30-minute train ride away. 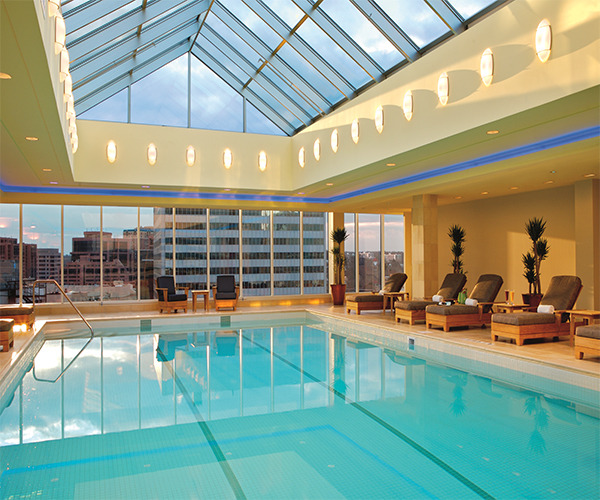 In addition to its luxurious spa and salon, the Ritz-Carlton’s state of the art cardiovascular and strength equipment are presented in a wellness studio that faces the outdoor city skyline, complimented by a rooftop indoor swimming pool. The Junior Chefs Academy at The Ritz-Carlton Westchester is a unique feature of this innovative hotel. Budding chefs ages 11-18 can take part in seasonal baking workshops with the hotel’s talented pastry chefs. The Ritz-Carlton offers indoor and outdoor venues for memorable weddings, meetings and events, and the hotel’s experienced advisors will help you create your ideal experience. Guests at the Ritz-Carlton can choose from a variety of sumptuous accommodations. Spacious Presidential, One Bedroom and Executive Suites offer plush king beds and linens and a choice of dining, living or sitting areas. The contemporary décor in the hotel’s Premier Deluxe and Deluxe Guest Rooms is designed to help you relax after a busy day. All rooms and suites feature beautiful marble baths with a rain-shower and soaking tub. Abundant appointments include LED flat-panel TVs and a Bose Surround Sound system. 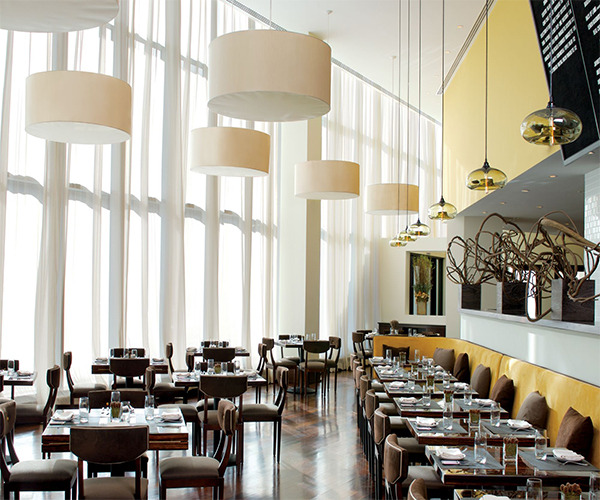 The Ritz-Carlton Westchester is home to the award-winning American BLT steakhouse, by renowned Chef Laurent Tourondel. Guests savor a signature BLT Steak dining experience and the menu includes lamb, chicken, fish, an extensive raw bar, delicious side dishes, tempting deserts, and an award winning wine list. The Lounge offers an intimate setting for breakfast, lunch, or dinner and is a perfect choice for venue for cocktails or light fare. Guests can also enjoy 24-hour dining in the their room and suite.